Mediation is a process involving you, your former partner, and a mediator, where you meet to try to resolve your family law dispute and avoid going to Court. It is also known as Family Dispute Resolution or Alternative Dispute Resolution. For parenting matters, you must attend mediation and try to resolve your parenting dispute before going to court. If you are unable to resolve your matter at mediation, then the mediator will give you a section 60i certificate, which you will need to provide to the Family Court when you commence Family Court proceedings. if one of the parties is unable to effectively participate in mediation due to some kind of incapacity, physical remoteness from dispute resolution services or for some other reason. If one or more of the exemptions apply, you will need to file an exemption form which can be found here. For property matters, it is now compulsory to consider engaging in some form of alternative dispute resolution before commencing Family Court proceedings. You may still commence proceedings but the court is likely to ask you on the first court hearing date whether you have attended mediation or not, and may adjourn your matter to allow you and the other party time to attend mediation. #1 - In mediation you and your former partner are in control of the outcome. Therefore, there is a greater chance of obtaining a resolution that you are both happy with, rather than when the Family Court makes the decisions for you. 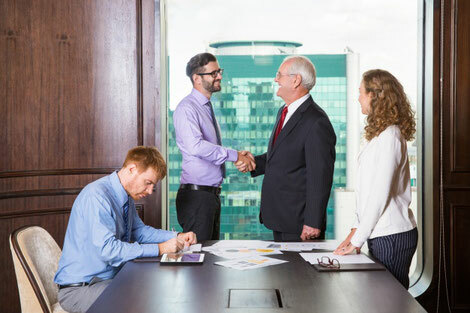 #2 - Even if you do not reach an agreement on all matters, mediation can help you to narrow the issues that are in dispute, which can save you in time and legal costs. #3 - Mediation can help you to see common ground between you and your former partner, which can help you to communicate more effectively with them in the future. #4 - At mediation, you have the opportunity to discuss matters and reach an agreement on matters that are outside of the scope of what the Family Court can do, for example, custody/care arrangements for your pets. #5 - Resolving your family law via mediation, is less stressful, more cost effective and quicker, than the alternative of going to the Family Court. We can help you prepare for the mediation. We can provide you with legal advice about your rights, entitlements and the legal principles, prior to engaging in mediation. We can explain the process of mediation to you, and refer you to reputable mediation services depending on your budget and needs. You are not required to have a lawyer present with you at mediation, however, lawyers do attend mediation in a lot of cases, especially for property settlement matters. If you reach an agreement, we can give you advice about filing an application for consent orders and prepare the documents for you. Please contact Applecross Family Lawyers on (08) 9364 9915 or 0474 458 340 if you require any family law advice.